BRYAN EATON/Staff photo. 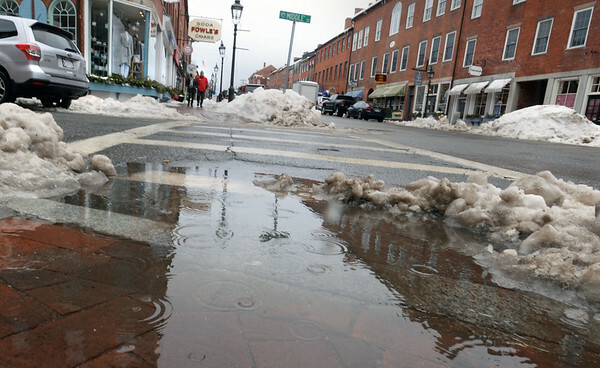 Melting snow created puddles in downtown Newburyport on State at Middle Streets on Wednesday. Rain was forecast overnight then turning to snow with warm weather for the weekend.